Commercial real estate can be a complex business. Our Research team looks beyond the data to help our team and our clients understand not just where the market has been, but also where it’s going. We know the local market like our own backyard, and our in-depth research can help you create value, solve problems and seize real estate market opportunities. In this biannual assessment of the Minneapolis/St. 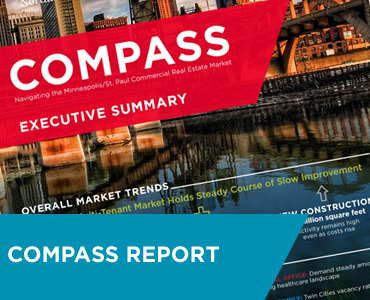 Paul commercial real estate market, our market experts analyze real estate trends and help you understand the near-term prospects for all commercial property sectors. 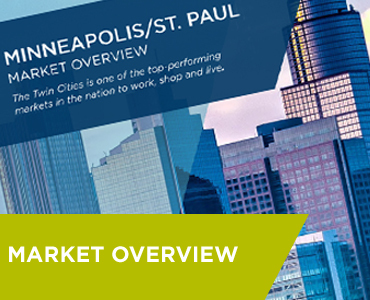 Our Market Overview provides an in-depth look at the vibrant Minneapolis-St. Paul metropolitan area beyond commercial real estate. 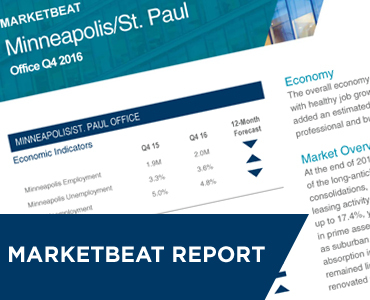 Cushman & Wakefield’s award-winning publication, MarketBeat, profiles real estate conditions in major business markets throughout the world. Customized studies are also prepared to meet the specific informational needs of owners, occupiers, and investors. 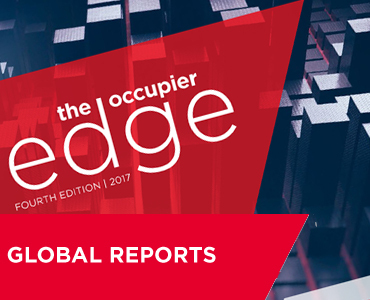 Cushman & Wakefield produces an extensive array of global market reports and white papers providing insights on the commercial real estate market as well as the performance of various industry segments.